July 4th Weekend - slim pickens but different. We spent the last 3 days trying to dodge the wind and dive within narrow windows of opportunity. We apparently got out too early this morning, as the wind picked up and sent us straight back to the dock. The good news is that the water has warmed up to 57 degrees, and the phytoplankton bloom seems to be deteriorating. 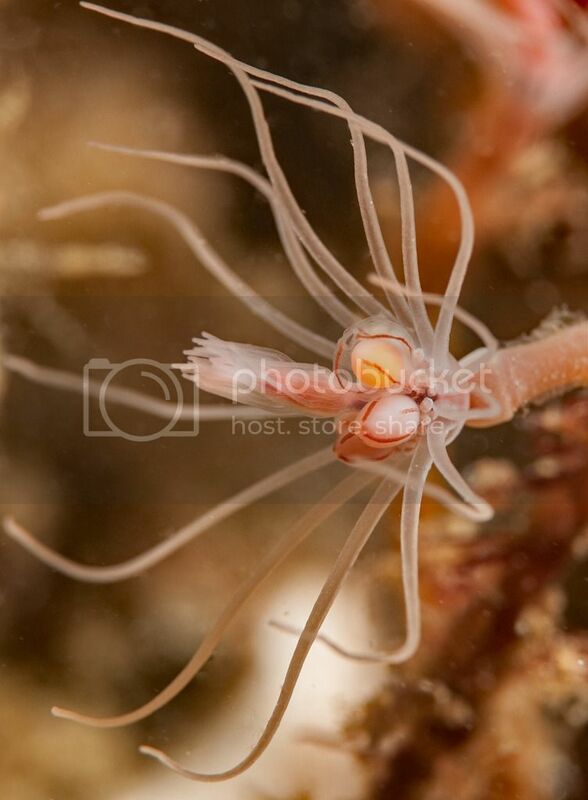 Pink-Mouth Hydroid, Tubularia or Ectopleura crocea? This is a close-up of the reproductive structures that produce sperm & eggs. 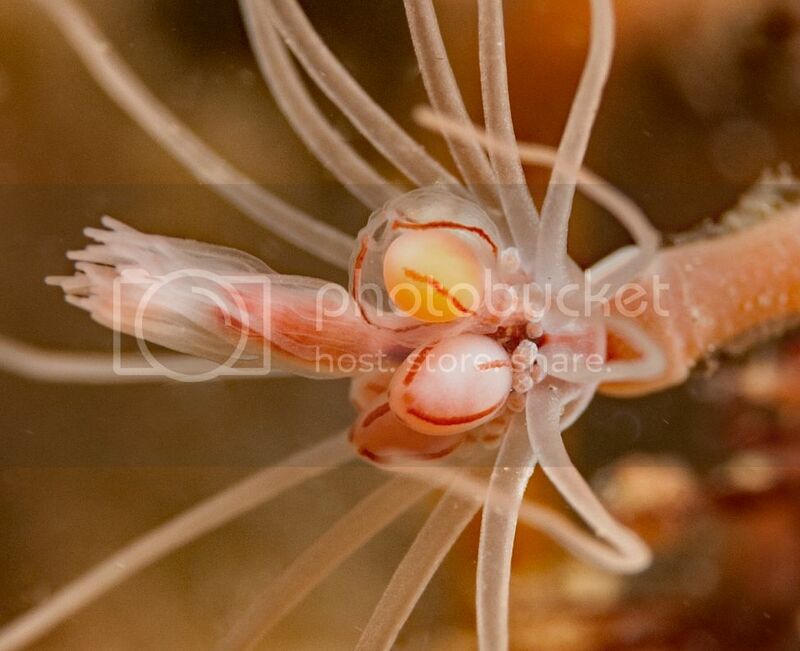 Embryos develop within the female structure, the larvae escape and form a polyp beneath the parent hydroid. 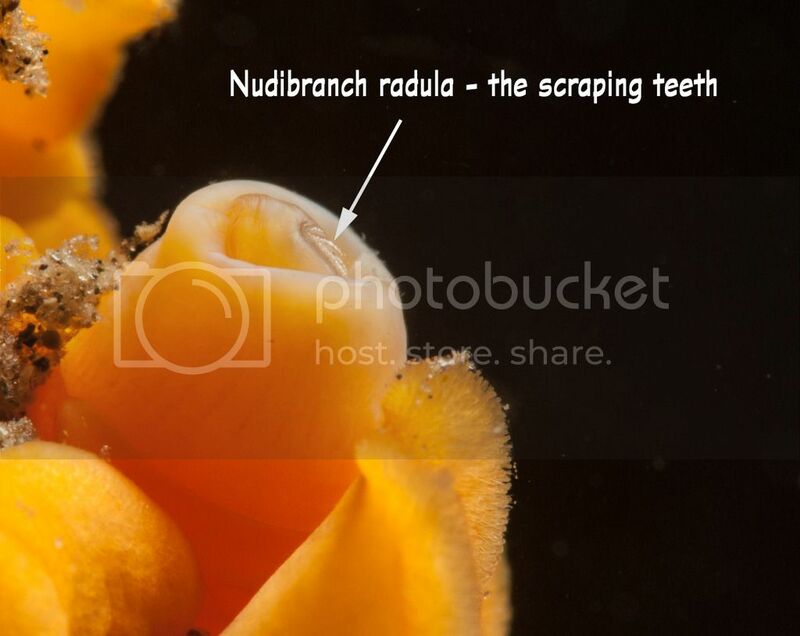 Here's something weird and random - the mouth parts of one of our common yellow dorid nudibranchs. 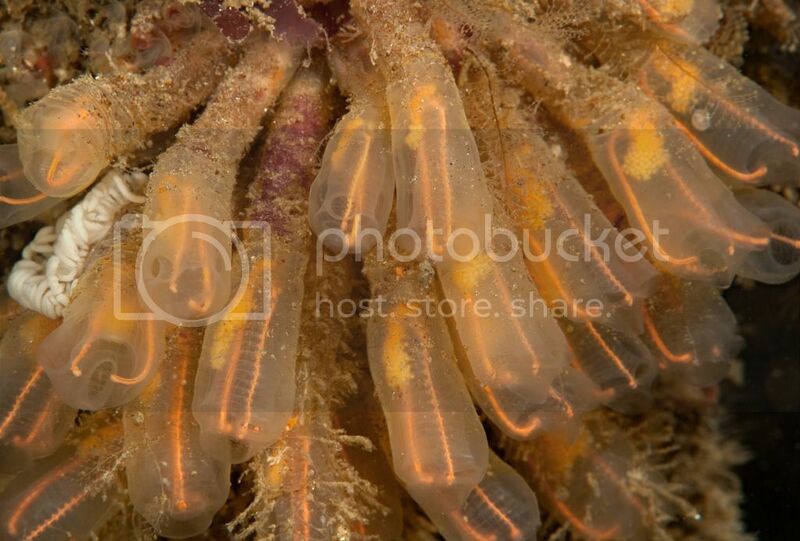 The light bulb tunicate, Clavelina huntsmani, is reproducing right now. 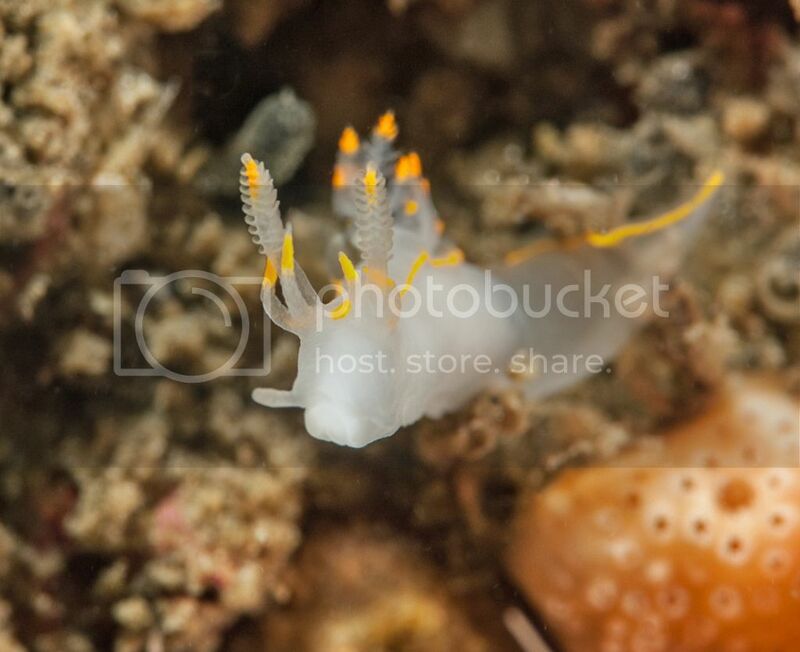 Like other colonial tunicates, it broods its embryos. 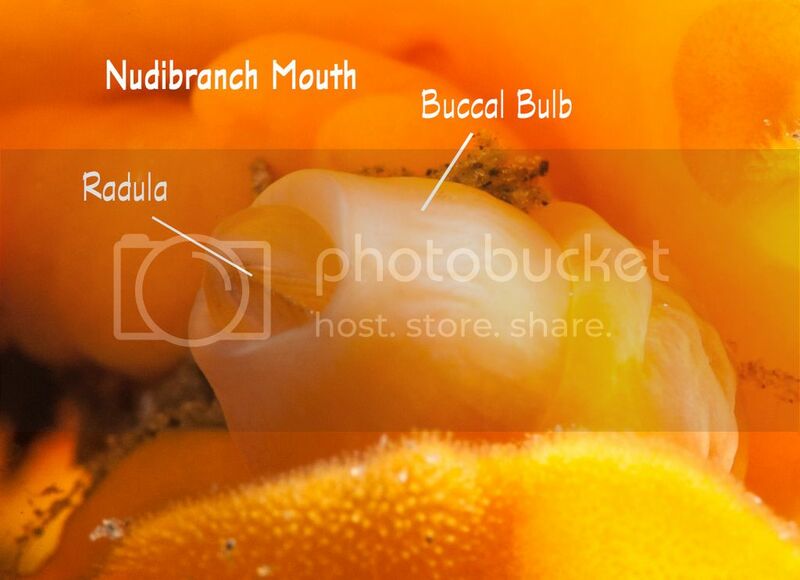 These light bulbs have a cluster of yellow eggs at the base of their pharynx. 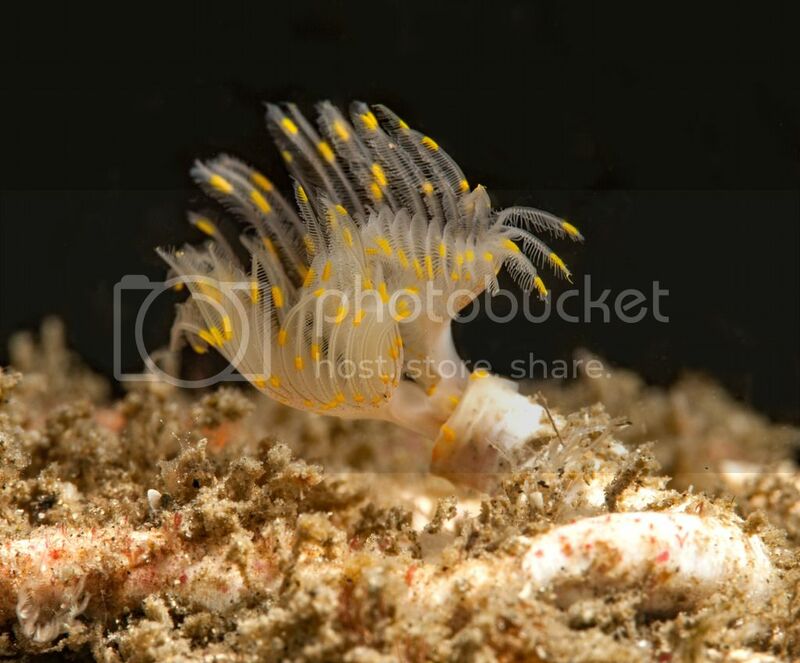 A small Protula tube worm wafting in surge. Phil has seen two of these at Marineland, but the only other place we can find them is on Golf Ball Reef. 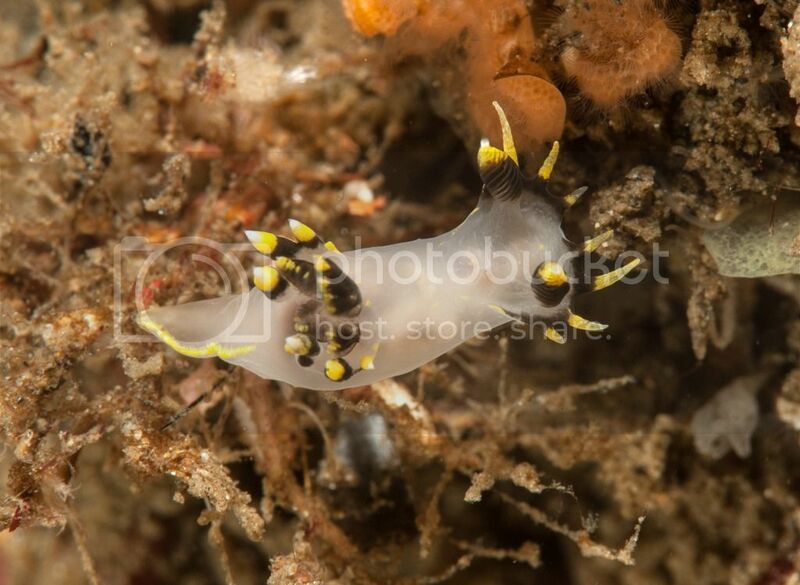 Polycera tricolor from the Crane at Haggerty's. Ancula gibbosa, also from the Crane.